Tissue engineering and cell therapy comprise a market for regenerative products that has been growing and will continue to grow at over 20% annually through 2018. This market spans many specialties, the biggest of which is therapies for degenerative and traumatic orthopedic and spine applications. Other disorders that will benefit from cell therapies include cardiac and vascular disease, a wide range of neurological disorders, diabetes, inflammatory diseases, and dental decay and/or injury. Tissue engineering and cell therapy comprise a market for regenerative products that has been growing and will continue to grow at over 20% annually through 2018. This market spans many specialties, the biggest of which is therapies for degenerative and traumatic orthopedic and spine applications. Other disorders that will benefit from cell therapies include cardiac and vascular disease, a wide range of neurological disorders, diabetes, inflammatory diseases, and dental decay and/or injury. 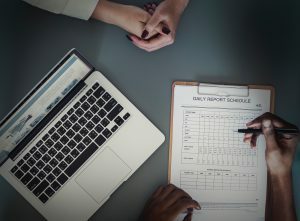 Key factors expected to influence the market for regenerative medicine are continued political actions, government funding, clinical trials results, industry investments, and an increasing awareness among both physicians and the general public of the accessibility of cell therapies for medical applications. 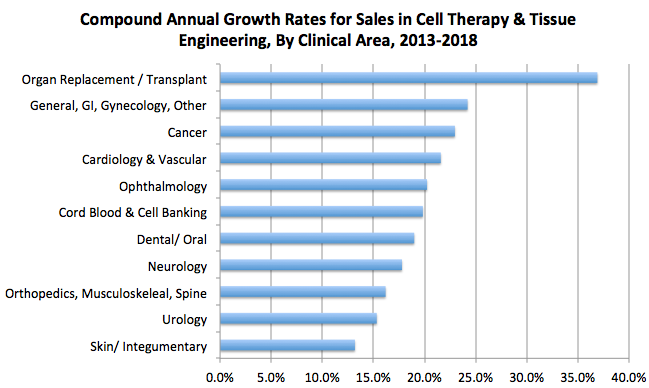 The dominant clinical area driving cell therapy and tissue engineering product sales is orthopedics and musculoskeletal, wherein bone grafts and bone graft substitutes are well-established. 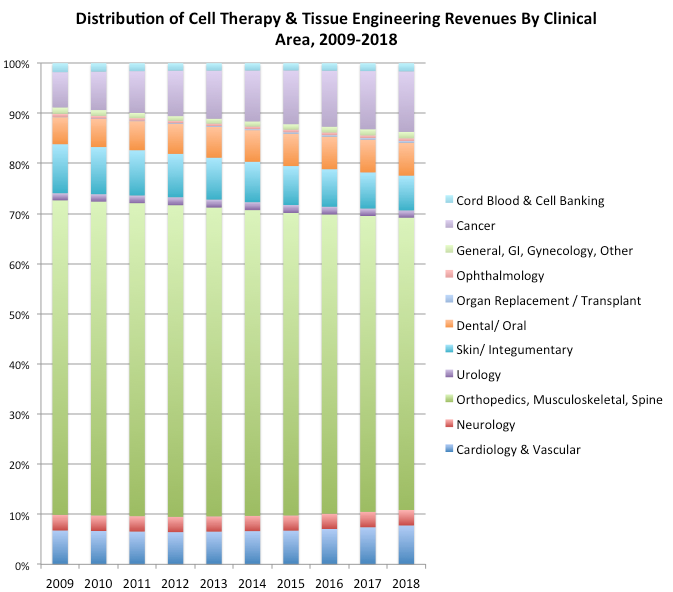 Below is the projected balance of cell therapy and tissue engineering product revenues by clinical area through 2018. Source: MedMarket Diligence, LLC; Report #S520. While orthopedics, musculoskeletal and spine applications will remain a huge share of this market, more growth is coming from cell/tissue products in most other areas, which have only recently (within the last five years) begun to establish themselves. 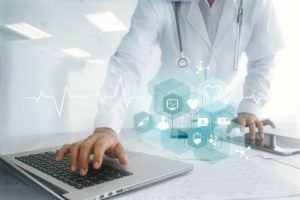 I serve the interests of medical technology company decision-makers, venture-capitalists, and others with interests in medtech producing worldwide analyses of medical technology markets for my audience of mostly medical technology companies (but also rapidly growing audience of biotech, VC, and other healthcare decision-makers). 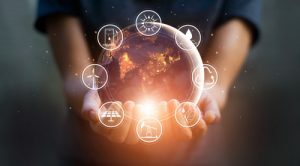 I have a small staff and go to my industry insiders (or find new ones as needed) to produce detailed, reality-grounded analyses of current and potential markets and opportunities. 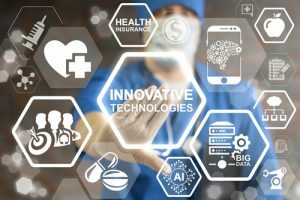 I am principally interested in those core clinical applications served by medical devices, which are expanding to include biomaterials, drug-device hybrids and other non-device technologies either competing head-on with devices or being integrated with devices in product development. The effort and pain of making every analysis global in scope is rewarded by my audience's loyalty, since in the vast majority of cases they too have global scope in their businesses. Specialties: Business analysis through syndicated reports, and select custom engagements, on medical technology applications and markets in general/abdominal/thoracic surgery, interventional cardiology, cardiothoracic surgery, patient monitoring/management, wound management, cell therapy, tissue engineering, gene therapy, nanotechnology, and others.